The Baltimore Sun has just released an interactive crime map of Anne Arundel county. 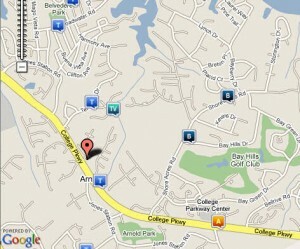 The map combines automatic weekly feeds from the Arundel Police communications office with the power of Google Maps. The resulting visualizations allow citizens quick and easy access to hard crime data. A search form allows you to specify type of crime, time period, and location. Crime incidents show up as markers on the map which expand to give more detailed information when clicked. The U. S. Coast Guard Auxiliary is an organization of civilian volunteersâ€”part of the U. S. Coast Guard teamâ€”who help promote safety among recreational boaters. We offer boating safety classes, vessel safety checks, on-water boater-assistance patrols and marine environmental protection programs. We also help maintain buoys, daybeacons and other aids to navigation. And we help U.S. Coast Guard and state officials carry out a wide array of other missions.